If you have come to this website it's probably because that you are interested in losing weight for yourself. And maybe you are trying to get as much information as possible in order to help a friend or loved one achieve their weight loss goals. So if you're looking to learn how to lose weight properly you have definitely made the right decision by coming to this site. If you look at the national statistics it's quite surprising that in this Society of ours where we have so much amazing technology so many of us are now overweight and obese. One may argue the fact that so many people are overweight now because of so much technology they are not as physically active as we as a people were many years ago. Whether we like it or not approximately 300000 people die every year in this country because they are obese. Of course we all know that being overweight can eventually lead to some type of heart disease and even diabetes but we are now discovering that being obese can actually cause cancer. What we are going to discuss here is a low carbohydrate type of meal plans. For several decades following a low-carbohydrate eating plan has helped a multitude of people lose weight and improve their health. I myself personally have diabetes and switched over to a low-carbohydrate eating philosophy and not only did I lose weight but my diabetes blood sugar levels are perfectly normal now. In fact at my most recent visit with my family medical doctor he suggested that I stop taking my diabetic medications. Because my sugar levels in my hemoglobin A1c levels are so perfect as determined from my most recent blood work. See from my own personal experience all I can tell you is that from following a low carbohydrate diet and also consuming a modest amount of protein and good healthy fats that I feel better than I have ever felt for quite a long time. many other people feel the same way if they adhere to the proper Protocols of this type of meal plan. yes there is a protocol that you should be following if you want to lose weight when a low carbohydrate diet and still maintain good overall health. Some people believe that they just stopped eating bread and rice and pizza end this will allow them to eat as much protein as they want and as much cheese as they want. But this is not true. Eating too much protein and too much cheese is definitely not good for you and can cause a multitude of other health issues. Following a low carbohydrate diet is built upon the theory that your body uses fat and carbohydrates for energy. End that if you decrease the number of carbohydrates, foods like bread, rice, potatoes and pasta and if you cut back on your sugar your body will have no choice but to start burning body fat end happily this means that your body will start burning your own fat for energy. This means that ultimately we will be losing weight. So who we are going to review several different things. First of all are going to discuss what are the definite benefits of doing a low carbohydrate diet. Then we'll move into the most important features of cooking and eating and I'm also going to give you a few weeks of recipes and some really fantastic recipes that are perfect for a low carbohydrate type of sensible eating plan. Now there are going to be a few different phases of this plan and for the first few weeks we're going to be really regimented with our diet plan and the foods that we are eating. This foundation is the building block of our entire weight loss program. In the good thing is that you can always go back to this basic meal plan and get your weight loss jump started again. I will try to give you some recipes at some point as well that are conducive to losing weight on this low-carb diet plan. And I'm also going to try to show you the way you should be eating in order to follow this strategy for the rest of your life. So basically you're going to make this your new lifestyle. Try to give you a complete recipe plan for a week or two. Try to enlighten you on all the benefits and the reasons why you should be eating a low-carb diet for the rest of your life. One and of the main reasons why most people like losing weight with this type of program is because most of the time they do not really have to count calories. Although if you are in your late 40's and over I have personally discovered that it is necessary not to eat too many calories in the course of the day. And of course the number of calories that you eat is totally dependent upon whether you're a man or woman, your age, your level of physical activity and your hormonal and metabolism levels. But you definitely do have to monitor the amount of carbohydrates that you are eating during the day. So, for me I found it to be much more easier to count the number of carbohydrates I eat during the day as opposed to having to keep track of all the calories all day long. And I have consulted lots of people that have lost weight doing low calorie programs as low as 800 cal per day and they usually are miserable all day long. And this is definitely not lifestyle friendly to maintain for your entire life. I don't know about you, but I really enjoy food and I enjoy eating all types of food. So limiting myself to just a few bites of food will do nothing but make me miserable so this is why I really like charting carbohydrates as opposed to counting calories. When you are eating good healthy food and lots of it and keeping track of your carbohydrates you will feel satisfied, your tummy will be happy and you should also have lots of energy. All of this while you are losing weight is kind of amazing. When most people talk about carbohydrates they usually think that they are your starchy types of carbohydrates like potatoes, pasta, rice and your sugars. But surprisingly all of your fruits, greens and vegetables also do contain carbohydrates. And even your cheeses and beans and nuts all contain carbohydrates. So if you are thinking that you could eat cheese all day long and nuts and beans all day long when this type of diet you are mistaken. You are going to have to keep track of all of these carbohydrates. How Can I Control My Cravings and My Hunger and My Appetite? Whether you realize it or not, the carbohydrates that you eat turned into sugar when they are digested and processed by your body. 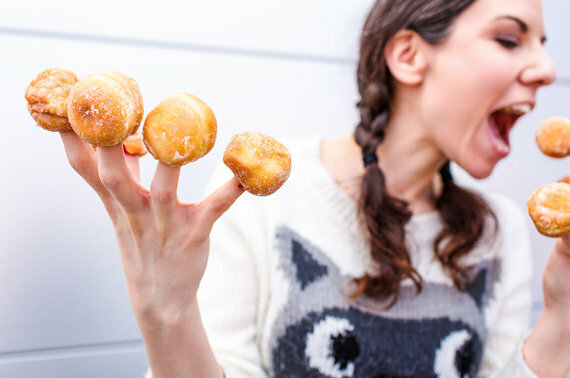 Every time that you eat a sugar or carbohydrate loaded food like a Boston cream doughnut causes an immediate spike in the quantity of sugar that's being pushed into your bloodstream. This sudden surge is then followed by a tremendous as your body's hormonal system tries to adjust to this. When this drop occurs your body sends out an SOS to your brain. It's basically scream into your brain I need more carbs I need more sugar! This is what's causing you to be hungry and increasing her cravings. When you file a low carbohydrate type of diet plan and you avoid eating foods that have no nutritional value and are loaded with carbs and sugar your body's blood glucose levels remain somewhat balanced during the day. In for you this means that you will not be suffering from uncontrollable urges for food when you're not really hungry. So by controlling the spikes and drops in your blood sugar levels you will be controlling your hunger, your appetite and your cravings. What we consider to be bad carbohydrates are what you would usually suspect they are your pastas, breads and races especially the ones that are made from processed bleached type of flower and foods that are loaded with sugar and this even includes honey and especially your high fructose corn syrup. And let's not forget about the candy bars and jelly down's and cakes and pastries. Pretty much all the foods that are processed and come in some type of package are the ones that are loaded with sugar, carbohydrates and most of the time they provide no nutritional value and the only thing that they will give you is a sugar spike then a sugar dropped and this will send your hunger and cravings out of control. All of this bad food eventually leads to health issues like diabetes, high cholesterol, high blood pressure and a multitude of other serious health problems. Believe it or not there are good carbohydrates in these consist of your vegetables. Your good carbohydrates are primarily your vegetables like your salad greens, broccoli, cauliflower, asparagus and green beans. The good thing about eating these type of healthy carbohydrates is that they are loaded with great nutrition and this means that they give your body all of the nourishment that it needs to operate at peak capacity and this will help eliminate your hunger and cravings. There is no comparison in the amount of good nourishment that you are getting when you eat good healthy carbohydrates like a piece of broccoli as compared to eating a low nutrition type of carbohydrate like a piece of bread. So if you want to lose weight and if you want to improve your health and wellness all you really have to do with stop eating foods that are loaded with no nutrition and are basically calories that just make you fat. They provide you no nutritional value. These are the foods that we have come to know and love such as pasta, cookies, bagels, crackers, rice and even your drinks like soda and even sports drinks that are loaded with nothing but sugar. If you give up all of these foods and eat good healthy proteins lots of vegetables and a little bit of good healthy fat you will be super healthy and physically fit. Start enjoying the forbidden foods! Sadly most of us have been told that in order to be fit healthy and trim we have to give up delicious foods like butter, cream, mayonnaise, shellfish and cheese. I don't know how many times I have weight loss clients come in and tell me I was bad because I was eating eggs and bacon for breakfast today. But I am happy to tell you that on this type of diet plan you get to enjoy these good healthy, forbidden, foods. They have only been forbidden because of the naivety of the healthcare community. Believe it or not eating foods that consist of good healthy fats you are improving your overall health and wellness. The only problem is that if you are eating a diet that is loaded with sugar and bad carbohydrates and low-calorie type of foods you're going to be fat, have high cholesterol and high blood pressure anyway. For some reason people have determined that good healthy fats are water causing all the illnesses of mankind. But it comes as no surprise to me that when the healthcare community made this decree to stay away from the so-called healthy fats more people in this country have gone fat, suffer from diabetes, suffer from heart attack and stroke. So it's not a good healthy fat like Olive oil, sardines and eggs that are making everyone sick fat and obese. It's those empty calories from the sugars in carbohydrate loaded foods that are making everyone sick. So go out to dinner and enjoy a nice beautiful piece of beef, order that filet mignon, or your lobster with butter and enjoy a nice delicious egg omelette for breakfast. Enjoy life, enjoy food and enjoy good health. It amazes me that when I go out for lunch and I see everyone ordering salad, but there's still fat. I hate to say it I see more people eating salad than ever in my entire life and all of those people eating salad fat. I do not know about you but when I'm trying to stick to a diet plan unless I get immediate results I tend to get somewhat discouraged. And the beauty of doing the low carbohydrate weight loss nutritional plan is that if you follow properly most people drop a need a few pounds and inches especially during the first few weeks of the program. Now, some of this is definitely going to be water just like any other diet program when you first start eating clean you are usually going to lose quite a bit of water weight. This is especially good if you have a tendency to retain fluid and you feel bloated and puffy most of the time. But after your body has got rid of all of your extra water and bloat you will start burning body fat quickly. So for most people after the first couple days their body ramps up into fat burning mode. How Do I Get My Appetite under Control? Eventually when your body turns into a fat burning machine instead of a sugar and carbohydrate burning machine you will realize that most of your appetite and cravings go away. Sometimes believe it or not I even forget to eat. But it's not always that could to skip meals so sometimes even if you are not hungry and you have not eaten for four hours you should enjoy a nice little snack of some good healthy protein and good healthy fat. This usually gives me a nice burst of energy and it does put me in a somewhat better mood as well. The good thing is that since I have switched to this type of eating plan I am no longer crashing during the day and I no longer need to drink coffee/caffeine/soda in order to get my energy levels up. Aside from looking good you should be feeling good and that by losing this extra body fat you are going to increase your overall health and wellness, significantly decrease the risk of so many health conditions from diabetes, hypertension, heart disease and even some types of cancer. I have some nutrition clients that suffer from really bad arthritis and once we started them on this lifestyle change they had significant improvements in their symptoms. So, not only will you be getting skinny and looking good you will be doing your body a tremendous benefit by getting rid of all the bad starchy carbohydrates, bleached white flour products and foods and beverages that are loaded with sugar. How an I lose weight with my busy life? Being busy from day to day takes a toll on our eating habits. Never having the time to prepare the correct food, we decide to take the easy road either ordering or buying fast food. Which is sadly resulting in becoming overweight. If this is how people continue to choose to live by 2050 one-third of adults will be diagnosed with type 2 diabetes. The change starts with you. Knowing that eating healthier is easier said than done, there are plenty of programs for you to join and try out. Never get discouraged, as well as never let anyone discourage you. Once you start noticing that you look better and feel good, you won’t bother to pay attention to whoever is trying to criticize. They’ll see your results wishing they did the same thing you did. That’s what I would like to call satisfaction. Your future is in your own hands. Only you can choose to make a healthy change and only you can put it into action. Making the decision to eat healthy will be nothing but positive. It’ll result in you living a long fulfilling life while people around you are continuing to take the easy, deadly road of fast food. It’s known that most deaths in the US are linked with bad eating habits. Which is sad because that’s more deaths than car accidents and violence combined. Scary thought huh! Now that you’ve been informed about how serious eating healthy is I hope you decide to take action. It won’t be easy but it will definitely be worth it. You have your future to look forward to. Don’t cut it short due to laziness and carelessness. Don’t be afraid or embarrassed to change your ways. You won’t regret it! Hopefully you can also become a voice for this very serious and tragic issue. Keeping up with maintaining certain strategies is the ingredients to an effective positive weight loss. 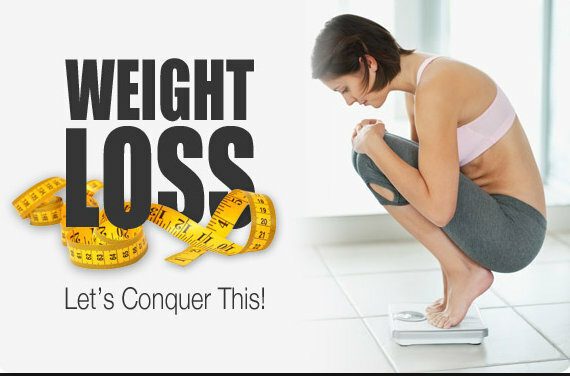 Effective weight loss would be losing 2 pounds or more a week. If you’re dieting you should be checking weekly to know whether or not you’re losing weight. Then you’ll know if what you’re doing and eating is working out for you, or if you need to change something to recieve better results. Here are a few things to keep on a good track to reach your goals. Keeping the right mindset when it comes to losing weight is most important. People say how much they would like to lose weight or get in the right shape, often are only all talk. Which is because they’re mindset is not on the right track. People feel discouraged or that it’s pointless to try. You need to forget what people say or think and remember why you want to lose weight and keep your focus on reaching your goal. Stop saying you’ll start tomorrow, do the unexpected and start now. Many people assume you don’t need exercise to lose weight. They’re wrong. Exercising is a main key to shedding pounds and toning muscle instead. The correct diet is what will be the hardest thing to transition to. What should I not be eating a lot of if I want to lose weight? If you’re ready to buckle down and do what is necessary to lose weight, great! You should know that you are supposed to exercise at least three times a week. Drop all your negative eating habits and pick up these qualities instead! Certainly will keep you on the right track, leading you to success! The strategies above will keep you motivated and to your goal quickly and efficiently. How can I safely detox to lose weight? Detoxing your body is smart to do once in awhile. Getting rid of all the toxins in your body. Including, internal organs (liver, kidneys, colon, and muscle tissues). Along with that, it also helps with your physical and mental being. Making detoxing an all around smart choice. You can detox your body regardless of if it’s to help lose weight or not. Your body needs water no matter what. It helps regulate many different processes, gets rid of any harmful chemicals and waste while you urine, and restores electrolyte balance. If you’re doing a detox to shed weight, add a lemon to your water first thing in the morning. Detoxing can also come from exercising. Being physical burns calories that can become fat. By sweating you’re getting rid of harmful chemicals, accelerating the circulatory and lymphatic systems. 30 minutes of exercise a day would do the trick. A bath after a workout helps get rid of accumulated toxins. Usually people detox as a way to help lose weight. Cutting out sugar from your diet can make all the difference. Sugar causes your pancreas to over work. No more artificial sweeteners, sugary beverages or white sugars. Sodium causes unnecessary and unwanted water weight. Cut out frozen and processed foods that are high in sodium. Many benefits come from drinking green tea. Being that it is filled with antioxidants, helps digestion, flushes out toxins and helps with weight loss. Switch that cup of coffee for a cup of green tea. You’ll thank me later! If you’re unsure about skin brushing I am here to inform you. When detoxing our skin also filters out toxins. So to keep that in check you’ll want to use a dry skin brush on your face in circular motion. Getting rid of clogged pores and dead skin, letting new skin cells to regenerate. Having a detox routine is a healthy way to keep up with keeping out unwanted toxins and leaving you only with energy and better immune and digestive system. How can I change my body image? Do you dislike how you see yourself in the mirror? Are you ready to shed away unnecessary weight? Being in a world that’s become obsessed with physical appearance and everything superficial. The pressure to look a certain way is in full effect. As you know, weight loss does not happen overnight. Choosing the right diet for you and your body type my not be the easiest. Never try crash diets, just to get that out of the way. Crash diets are not a healthy way to lose weight. Your body needs a consistent, slow and steady diets. Only then you will begin to lose the pounds and keep them gone. Start by making the right steps towards a positive and healthy way of life. To lose weight the right way, try following these steps! Have you ever heard “Breakfast is the most important meal of the day”? If not, now you have, and simply because it’s true! Without a big hearty breakfast your body will go into survival mode. Which causes your metabolism to slow down. Now when you finally do eat, you will end up eating a bigger portion than necessary. People often assume exercise isn’t an actual necessity to losing weight. Well, hate to break it to ya, but it is. I don’t understand why more people don’t exercise anyway. What does being a couch potato do for you? Nothing positive, that’s for sure. Get up and out there. Don’t be afraid or feel discouraged, instead be confident and determined to reach the goal weight you set for yourself. Take action and go to the gym. So many positives to exercising: You’ll lose weight, you’ll feel more confident, happy, energized, positive, etc! You can inspire and motivate people to do it with you. Or give them the courage to get up and exercise themselves. There’s many differents ways and places you can exercise. Whether it’s going to the gym, running outside, doing aerobics, etc. Making exercise part of your everyday routine will keep you on the right track to losing weight and keeping it off. Go ahead and sweat! Watch all the unnecessary fat melt off! Who doesn’t love to eat? Controlling cravings is hard, I understand. Comfort food when you’re upset, boredom, stress, all the things that cause you to eat and again unnecessary weight. To put a stop to that, try choosing better snack choices. Try avoid eating by doing an activity that doesn’t make you think about food and calms you down if stressed. You may not notice, but people usually eat more carbs and sugar than they are suppose to. Soda, iced tea, white rice, and any starchy food are things you should attempt to cut from your diet when you’re trying to lose weight and become healthy. Instead, try green tea, fruits and vegetables, whole grain foods, and water. Eating the nutritious foods will have you lose the fat. High in fiber and filling, causing you to feel satisfied and full for a while. Keep some nuts around for when you feel like a snack. Following these tips are very important keys to losing weight. Keep up with exercising and eating healthy! You’ll soon notice a difference in the mirror and will be thrilled! Steps to lose weight fast. Mostly everyone has a vision about how they wish they looked. Some wish to gain weight and others want to lose. But in general, everybody wants to be fit and toned. Making that dream come true may not be easy for you. So, I have a few tips you can follow so you can live out your dream. Drinking water throughout the day is a great way to stay hydrated especially since it’s zero calories. It’s said that drinking water first thing in the morning will help get your metabolism going as well as releasing unwanted toxins in your body. Drinking water also helps controlling hunger. The benefits of drinking water are nothing but positive. Exercise is a very important part of losing/maintaining weight. If you’re unable to exercise, walking is a great alternative. So after every meal take a nice little 10 minute walk. That way you’re burning some calories as well as clearing your bloodstream of any glucose. Rich in fiber foods would be a good choice to eat. It’ll help with weight loss by keeping you feel full for longer. Which means no eating unnecessary calories and keeping off unwanted fat. Eating outside your home is a very effective way to gain weight. That’s why it’s best for you to cook and eat at home. Going to restaurants, you’re unsure and don’t have control about what goes in your food. Meaning there could be more calories and fats than you may want. Making home cooked meals, you’re in control of what you eat and how it is made. Salt is a blessing and a curse. It is very tasty on foods, yet so very bad for you. Would be a smart move to cut down on the salty snacks such as, chips and pretzels. Salt is a big no-no when trying to lose weight. Foods to eat for fast weight loss. 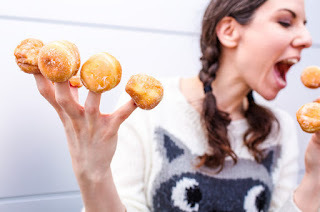 People come up with terrible excuses as to why they continue to eat unhealthy foods. Only to cause them unnecessary weight gain and belly aches. Time for the excuses to end. I understand we are all human and make mistakes sometimes. Sticking to a diet is always easier said than done, I get it. But really all you need to do you stay on track is to train your mind, along with your sweet tooth, to choose healthy foods instead. Fruits are just as sweet as candy, there’s no reason an apple or strawberry can’t satisfy your craving the same way candy does. Choosing healthy snacks means you can have endless amount of snack-times throughout the day. Due to the low calories and positive effects healthy snacks have on you. Therefore, I have a list here of healthy snacks for you to enjoy throughout your day that’ll keep you satisfied without gaining unwanted weight. Grapes and walnuts- This is the ultimate snack duo right here. Filled with fiber, protein, and healthy sugars and fats. This delicious snack will cause you to gain nothing but energy! How awesome!! Oatmeal and blueberries- People who aren’t really a fan of oatmeal because they think it’s bland, add some blueberries. Besides tasting yummy, being rich in fiber will cause you to feel full for longer. Apple with cheese- Your eyes are not playing tricks on you. That does in fact say “apple with cheese”. With that being said this snack is a great sweet and sour pair that’ll help prevent weight gain! Almonds- These nuts are good to keep around throughout the day. Helping with weight loss, making you feel full longer, and keeping you away from foods with too many calories. Grapefruit- This certain fruit is perfect for when dieting. When consumed it lowers insulin levels, keeping your appetite in check. Greek yogurt with raspberries and honey- This trio is perfect for when you have a sweet tooth being that it is sweet and creamy. Packed with fiber, protein, healthy fats, and vitamin C helps burning fat. Now, enough sneaking around eating unhealthy snacks. With this list you’ll be satisfied, full and happy with results you’ll begin to see! It is known among most people that clean eating is necessary when trying to lose weight or become healthy. You can reach your highest peak of health and fitness by intertwining clean eating as part of your diet. Which would mean you work on eating lean meats, fruits, vegetables, and whole grain foods rather than processed foods. When clean eating there are a number of things you need to keep in mind. One being, you should eat 5-6 meals throughout the day instead of the supposedly 3 meals. Those meals should keep you from ever being hungry as well as filling you up with the right carbohydrates and protein. Do your best to steer clear from white carbohydrates, soaked fats, hydrogenated oils, soda, juice, and liquor. Unsaturated fats and eight glasses of water are your best bet to keep your nutrition balanced. There are many positive benefits to clean eating. Losing weight, an increase in energy levels, clearer skin, as well as improvement in your sleep. Clean eating is both easy to do and cheap. Although it takes a lot of planning and discipline, once you have the hang of clean eating it will become easier and like second nature to you. Following the advice will leave you feeling full, healthy, and happy! Why can’t I lose weight even though I eat a healthy diet? You could be doing everything perfectly correct in your dieting and workouts, yet still not shed the weight you want. To be honest, that happens to most people who attempt a diet. When that happens it causes everyone to become discouraged and want to give up. Let me be the one to give you the reason why. The problem with your diet picture is that you attempt and allow certain things into your diet causing you to trick yourself into not losing weight. The label claims to be helpful to weight loss but in reality are something to stay away from.A few foods to keep out of your diet even though the package says otherwise. Although fruit flavored yogurt seem like the perfect delicious healthy snack, they are not. Well, they may be delicious, but healthy? No. They are contained with 15+ grams of sugar per serving! Yes there are “sugar-free” yogurts, but when it’s not sugar that’s added, it’s artificial sweeteners. Both are equally not good for you. So next time you plan to buy yogurt go for the plain yogurts. Add in your own fresh fruits for the wanted flavor. Of course the whole purpose of dieting is to lose unwanted fat. So it’s expected for you to buy foods that say “fat-free”. Don’t you ever wonder what’s in your food if it isn’t fat? Sugar is. Sugar is added to keep the food tasting as good as you think it is, and in most cases, sugar is worse than fat. Beware of the protein bar! Yes they do in fact contain protein. But other than containing protein, they also contain sugar. The sugar intake can range anywhere for 15-40 grams of sugar. Most protein bars are a over-hyped chocolate bars. There are such bars that do have 5 or less grams of sugar. Be sure to keep a lookout for those. Never forget to check labels! If you are considering a medically supervised prescription weight loss program you may need to have a BMI - Body Mass Index greater than 27. Here is a link to a BMI calculator to determine if you have a BMI that qualifies for this type of medical weight management program. What are The Long Term Low Carb Diet Side Effects On The Body? So the first question I know you will be asking is what does following a low carbohydrate diet do to improve my health for the rest of my life? And that's a great question. One of the most important things the following this type of diet will do for you is that you can significantly reduce the chances of you suffering from a heart attack or any other type of cardiac disease. And I know that this is going to shock most people, because it has been drilled into our brains that we should be eating mostly grains and starchy carbohydrates and avoiding all types of fat if we want to be healthy. We have been mistakenly brainwashed to believe that all fats raises are bad cholesterol levels and increases our chances of suffering from some type of cardiac illness. But this is so totally wrong. The truth is if you follow this type of diet properly and eat just a good healthy fats that are naturally occurring in nature all around us you really would not be increasing your cholesterol levels. The opposite is true. You will be increasing your overall health and wellness and decreasing your chances of getting sick. But this also means that you have to be careful with the starchy carbohydrates and all of the grains and breads that you normally eat every day. We now know that eating lots of starchy carbohydrates, grains, pasta, pizza, breads etc. will make us sick and fat. And that if you want to reduce the chances of you getting a heart attack or any other type of cardiac illness that you should really limit these types of foods. So the take away from this is to keep the amount of starchy carbohydrates that you are eating to a minimum and focus on eating good healthy protein, lots of nutritious vegetables and good healthy natural fats. If you follow this type of diet you will lose weight, decrease your bad triglycerides, improve your blood pressure if it's too high, reduce your blood sugar levels and insulin levels – especially if you are diabetic, raise your good cholesterol levels, lower your bad cholesterol and you should feel more energy. If you take a serious look of everything that I have you said this is what most doctors would say is the way to prevent heart disease and strokes, it can also help you if you are suffering from diabetes, thyroid problems, hormonal issues and almost every other type of illness. There are studies now showing us that following a diet that is lower in carbohydrates and and consist primarily of vegetables, healthy protein and healthy fats will also help reduce the risk of certain cancers. Another benefit of this type of diet is that it can help get your diabetes under control and even prevent it and people that are pre-diabetic. There are a couple different types of diabetes. There is type I diabetes and type II diabetes. With type I diabetes the body is not produce the proper amount of insulin. People that suffer from type I diabetes have a congenital problem that causes this, it's basically caused by their DNA. But most people that suffer from type II diabetes develop it because they are following a diet that is high in sugar, starchy carbohydrates and overall bed food choices and beverage choices. Most people that are type II diabetic have been following a poor diet for many years. In a normal person when you have too much sugar in your bloodstream insulin carries it to yourselves. For people with type II diabetes this doesn't happen, the sugar just remains in your blood. If you are type II diabetic it could because you have a history of diabetes being in your family therefore it is genetic, it can also be because your diet is loaded with starchy carbohydrates, you don't exercise or get any type of physical activity or you can have a combination of all three of the above.. It's frightening that over 19 million people suffer from diabetes. Please remember that if you are diabetic and you start this type of diet it will affect your blood sugar levels and you will have to keep a close eye on your blood sugar levels and test it more often. Please make sure you discuss this type of diet with your medical position that is managing your diabetes. And do not stop any type of medication unless you have discussed it with your medical physician and he/she has given you the approval. Never change any medications that you are taking unless you first discuss it with your medical physician that is prescribing that particular medication for you. If you have a family history of diabetes and you are considering doing a low carbohydrate diet in the hopes of preventing or reducing the chances of you becoming diabetic you're on the right path. Some people may or may not get how diabetes, blood sugar and insulin is all connected and I will take a few minutes and explain that to now. When you eat carbohydrates, foods like your bread, pasta and rice this is converted by your body into sugar and this sugar of course enters the bloodstream and then your body has to get this sugar to the cells of your body to use his energy. And it does this by having the pancreas produce insulin and insulin carries the sugar/glucose to the cells of your body for energy and also for fat storage. If you have consistently eat in an extreme amount of carbohydrates every day for several years this has caused her as low levels to be overproduced throughout this whole period of time and that in turn means that it will take a lot more insulin to maintain your blood sugar levels at a normal level. And believe it or not your pancreas can actually run out of insulin and this leads to diabetes. And if you have diabetes it means that your body is not able to maintain your blood sugar level at a healthy level. A low carbohydrate in higher good healthy fat diet can also help decrease your blood pressure. I've seen all too often people coming in my office that are overweight, have diabetes and sugar levels that are out of control and high blood pressure. It seems that all of them go hand-in-hand with each other. And if you are following this type of diet it can help get all of them back to normal. Whether you realize it or not losing weight is one of the most surefire ways to help decrease your hypertension. An added benefit of doing a low-carb higher fat diet is that because you're also decreasing the amount of carbohydrates you are eating you should be decreasing your blood sugar levels, and so levels as well as decreasing your body fat and this in turn will help decrease your high blood pressure. And if you happen to be sensitive to sodium following this type of diet also helps decrease the amount of excessive fluid retention in your body. For help with weight loss you should consult with your weight loss doctors.